Welcome to the May 18th Gigantic Primary Night!……..
Daniel Starts the night off at 7:00PM DST…….The Dog will come on at 9:30 DST……. Get your popcorn and settle back ! 6 Republicans vying to face Chandler in the Fall with former Attorney & Congressional Aide Andy Barr (R-KY) looking the strongest Candidate. For me it’s the ”Race of the Night”. Tough to tell who is the better Candidate against Altmire in November as I’m no PA Insider so I’ll leave that up to Voters here. I expect Gerlach to prevail over Sellers. On the Democratic Side Pike is favoured by the Establishment while Tivedi is hailed by the Grassroots. Could be a very close Race here. Pike will probably prevail in the end. No Primary as Republican Attorney Pat Meehan is running Unopposed. Lentz is the endorsed Candidate by the DCCC and Sestak so I expect him to prevail here. I expect Marino to face Carney in November. If you judge Politico Mollohan’s Defeat last Tuesday has endangered Kanjorski’s Democratic Primary. I expect Barletta to win quite easily over Paige. Latest Polling suggests Democrats might be able to hang onto this Seat because of the closeness of the Specter – Sestak Senate Race so for now I give Democrats that Seat. Critz will easily win his Primary. Democrats and especially the liberal wing of the Party is very unhappy with the Votes Lincoln has cast in the Past on Health Care, etc. They poured Hundreds of Dollars into this Race. While Lincoln started with a big Money & Polling Advantage that has dwindled to low double digits now. Arkansas is one of the few Southern States in the Nation that are holding Run-Offs in case one Candidate can’t clear the 50 % Benchmark. And that’s what might just happen next week. I will re-evaluate this Race some time over the coming weekend to see if there is any latest surge for Lincoln or Halter. I give Boozman the edge here and say that there will be NO Run-Off. I expect Crawford to win the Republican Primary. Griffith is likely to win the GOP Primary while the Democrats once again heading for a Run-Off. Looking at Candidates in the GOP Primary my first thought was this could go into a Run-Off. That might happen although there is one Candidate who could win this outright: Rogers Mayor Steve Womack. I expect Rankin to win the Primary. I espect Kitzhaber to prevail easily over Bradbury. I expect Dudley to prevail over Alley by around 10-15 Points. I expect the preferred NRSC Candidate Huffman to prevail here. Wyden will easily dispatch his two Democratic Challengers. We’ve the first BIG Primary Winner of tonight. With just over 30 % of Precincts reported in the Bluegrass State the AP calls the Kentucky Republican Senate Primary for Randall “Rand” Paul (R-KY). 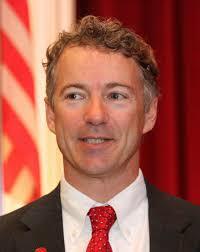 Ophthalmologist Rand Paul won the Kentucky Senate Republican primary, soundly beating Secretary of State Trey Grayson and scoring a major victory for the nascent tea party movement nationwide. 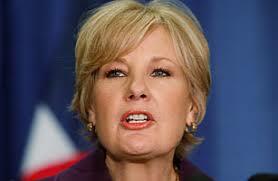 Looks like another RINO (Norton) is in the Crosshairs of the Tea Party. I like that. Rima Fakih……Miss USA photo/Video fuss…….. The photo’s talked about have been out there for a while…..
Several years (2007 ) ago…..She competed and won a local Stripper pole dance contest…..
An she won the contest…Thank you….. The Miss USA people last year had its winner’s pose for scantily clad photo’s also……. Let the Girl go do her reign!……. He, he, he…..This whole thing is a headache and media bonanza from the Miss USA contest…again…. There are no innocent female’s out there that are going to walk around in bathing suit and heels in front of a live audience….. So they need to live with that…. Democrats must go on the road to sell Healthcare….. While the bill is a done deal…..
That is just an opener…. The Healthcare Insurance industry is already mounting a fight back on the bill…. Those who will benefit from the bill are happy and content…. Those who will not see anything from the bill are going to not forget the money/government side to it…. As Daniel has said to me many a time Healthcare COULD be a problem for Democrats..
As I have said to Daniel….. Faced with the prospect of a Democratic rout in November, the White House last month brought on communications expert Stephanie Cutter, a Capitol Hill veteran who is on her third tour of duty with the administration, to oversee healthcare messaging and at least minimize the political damage from the bill. Iran wins another round in it quest for the nuclear bomb…..
As I read thru the weekly events in the Iranian nuclear bomb march saga….. They maintained their own civilization for a long time…..
And as I watch the American despert dance to stop the Iranian’s …. I just shake my head….. The Dog understands now that the Iranian’s WILL get a bomb…. The sanctions agreement Mrs. Clinton announced on Tuesday was reached by the United States, Britain, France, Russia and China — the five permanent, veto-wielding members of the Security Council — plus Germany. The new treaty with Russia “gives us the credibility to reach agreement as we now have in theUnited Nations with countries that are concerned about the proliferation represented by Iran,” Mrs. Clinton told the Senate committee. Senator Chris Dodd, Democrat of Connecticut, called news of the agreement a “tremendous step forward” and noted that Congress was working on legislation that would impose American-only sanctions on Iran. The announcement came just a day after Iran said it would ship roughly half of its nuclear fuel to Turkey, in a bid to assuage concerns about its program. American, European and Russian officials reacted with deep skepticism to that proposal, noting that it would still leave Iran with enough low-enriched uranium to create fuel for one nuclear weapon if it chose to make one. “There are a number of unanswered questions regarding the announcement coming from Tehran,” Mrs. Clinton told the Senate Foreign Relations Committee. The unscheduled inner cabinet meeting, accompanied by an announcement from Netanyahu’s office that ministers were under orders to withhold public comment, reflected Israel’s worries about the efficacy of foreign efforts to negotiate with Iran. One official, speaking on condition of anonymity following the meeting, said Israel regards the Iranian nuclear deal with Turkey and Brazil as a ruse to fend off international pressure ahead of a new U.N. Security Council resolution on sanctions. Israel, widely assumed to have its own atomic arsenal, has hinted at military strikes, as a last resort, to deny its most powerful foe the means to make a nuclear bomb. But it faces big tactical challenges as well as Western reluctance to see another regional war. World powers voiced doubt over whether Iran’s agreement on Monday to ship some low-enriched uranium to Turkey would be enough to address wider concerns about further fuel production. Iran, which insists its nuclear program is peaceful, said the deal aimed to fend off a fourth round of U.N. Security Council sanctions. Netanyahu has so far endorsed Security Council diplomacy, while urging U.S. and European efforts to toughen up sanctions. First word of the compromise bid by Brazil and Turkey, both of which are non-permanent members of the Security Council, drew a mixed response from Israeli officials who spoke to the media before being muzzled by Netanyahu. 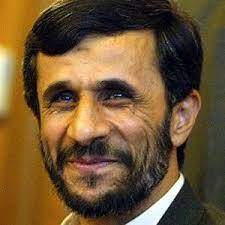 “Iran is equipping itself, intent on getting (nuclear) weapons. It is taking steps that are far from being for the sake of Iran’s self-defense, as the president of Brazil would tell it,” Deputy Defense Minister Matan Vilnai said. “We are watching this, and making decisions accordingly,” he told Israel’s Army Radio. Trade and Industry Minister Binyamin Ben-Eliezer, a former defense chief, said Israel could only know with time if, with the new deal, Iran was “continuing to toy with the whole world” or was open to placing curbs on its domestic uranium enrichment. 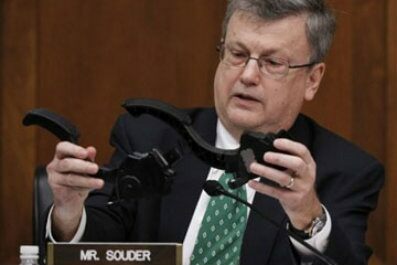 Live by the sword…Die by the sword…..
Eight-term Indiana Rep. Mark Souder announced his resignation Tuesday after admitting to an affair with a female aide who worked in his district office. Multiple senior House sources indicated that the extent of Souder’s affair with the staffer would have landed him before the House Ethics Committee. Sources told Fox News that the aide, identified as Tracy Jackson, a woman in her mid-40s, would accompany the congressman to events and to record ads at a Christian radio broadcast station. Elected as a family values conservative as part of the Republican revolution in 1994, Souder survived a tough re-election challenge in 2008 and survived a contested primary two weeks ago. The Immigration discussion is framed by age….Young American don't understand their elders….. There are very few grade schools and High Schools that don’t have a huge influx of new non-Anglo students…. As a result of immigration …..ALL across the country….Latinos/Hispanics, Indian, Middle Eastern, Oriental and even Russian students are joining the mix of students…. My wife’s school has children that speak over 15 languages…..
Close encounters with different human beings from different backgrounds…. And it is telling in the mindset of those children…. They aren’t afraid on new people and immigration like their parents and other old people are….. While some of the kids may not hang out with the new arrivals….a lot in fact do…. And this is where the change in cultures meld into one…..groups of different skin toned kids skate boarding, playing basketball at the park, in study groups and yes Martha…even dating…..